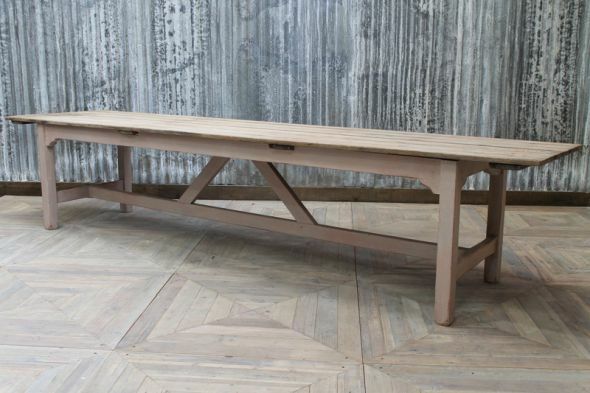 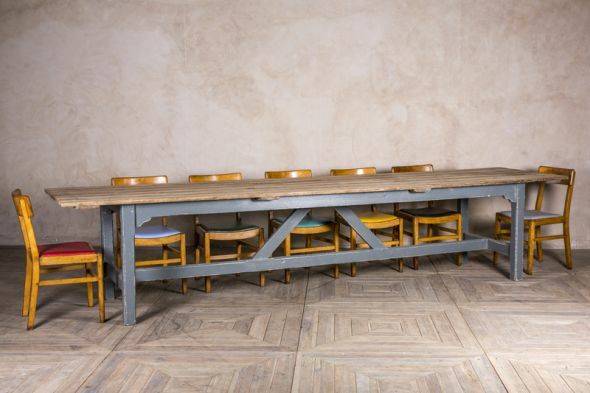 This large pine farmhouse dining table is a stunning feature for any large dining space. 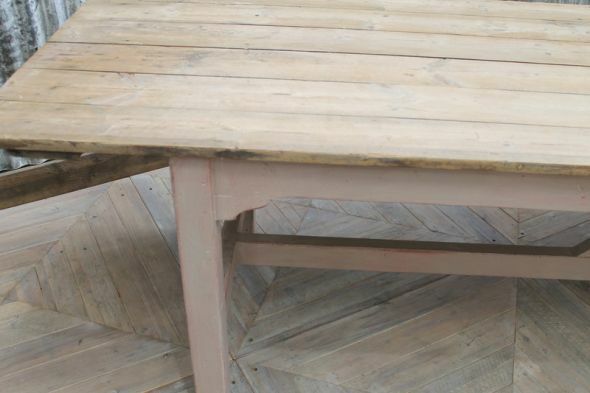 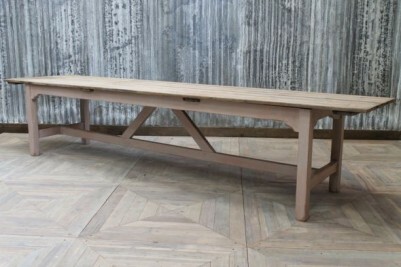 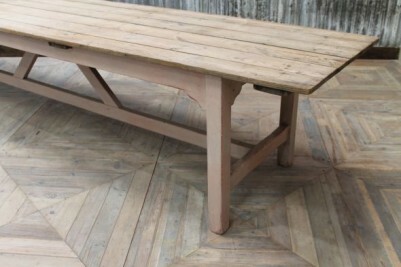 We have two of these 12ft long tables in stock, one with a pale pink painted base and the other with a grey/blue painted base. 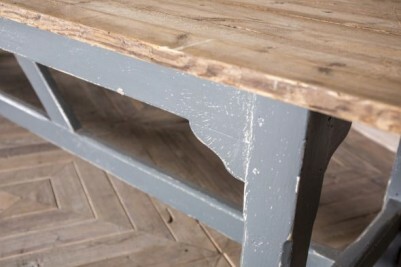 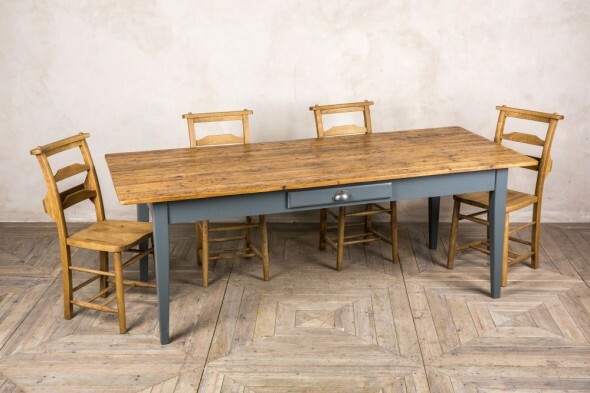 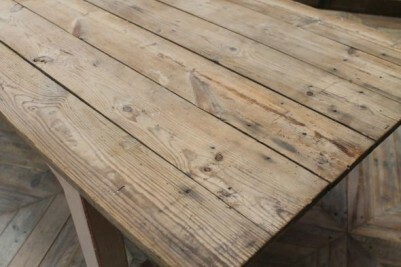 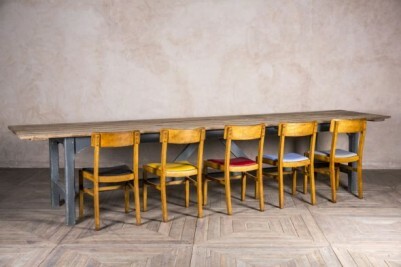 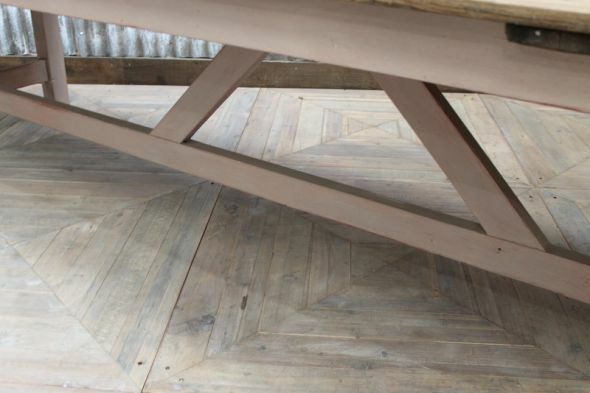 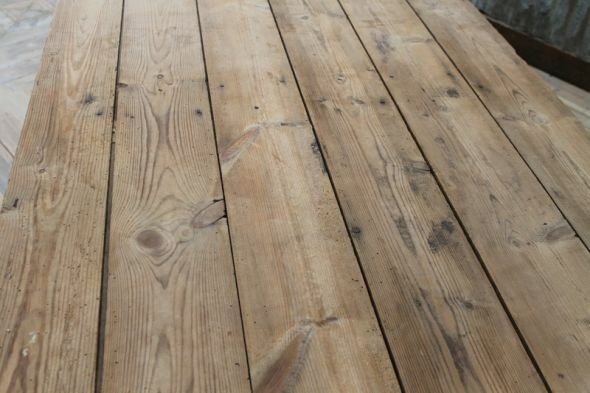 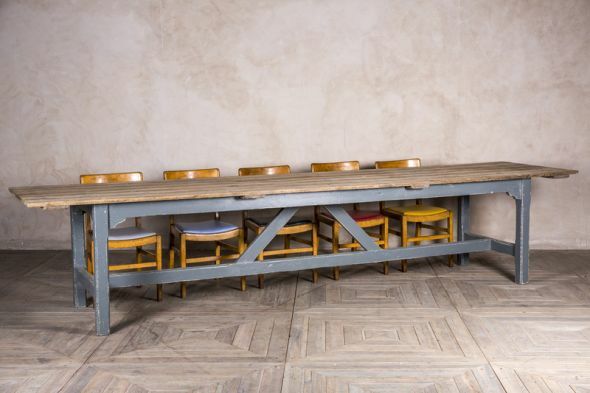 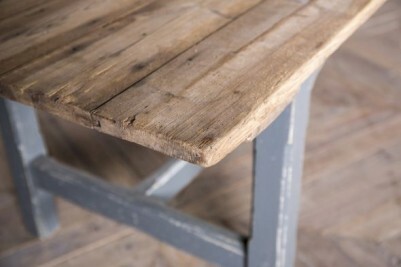 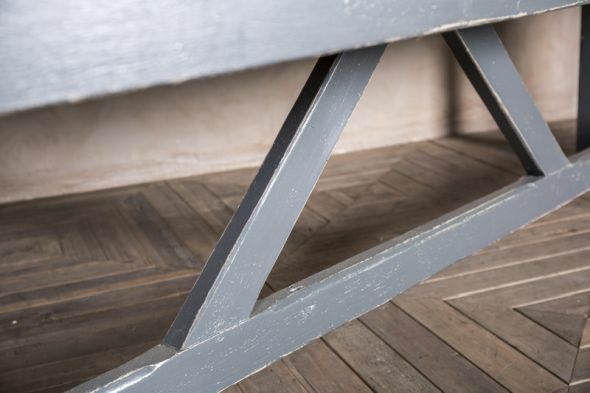 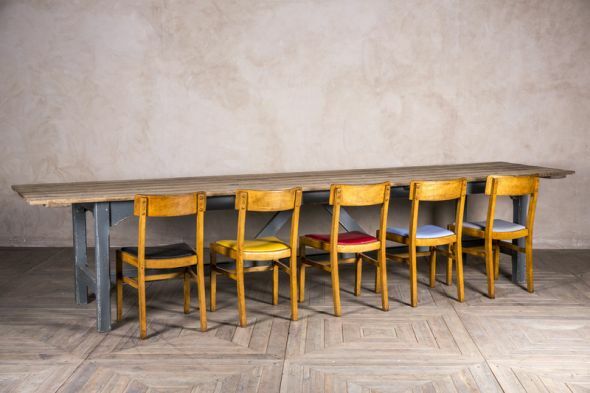 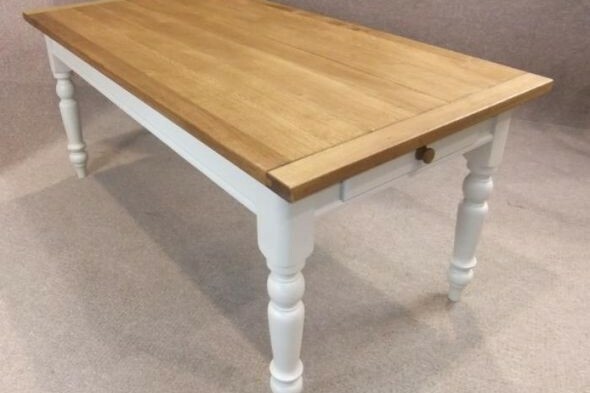 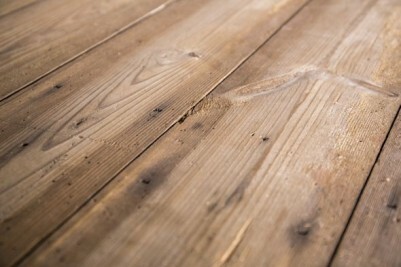 Both tables feature a reclaimed pine base, with an original Victorian table top. 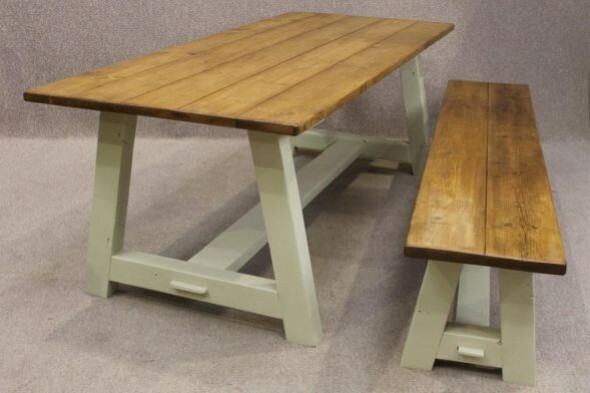 You could place these large tables in a restaurant, or in a country property as somewhere to entertain the whole family. Both of these tables are in good condition but will have notches and marks in the wood due to their age. 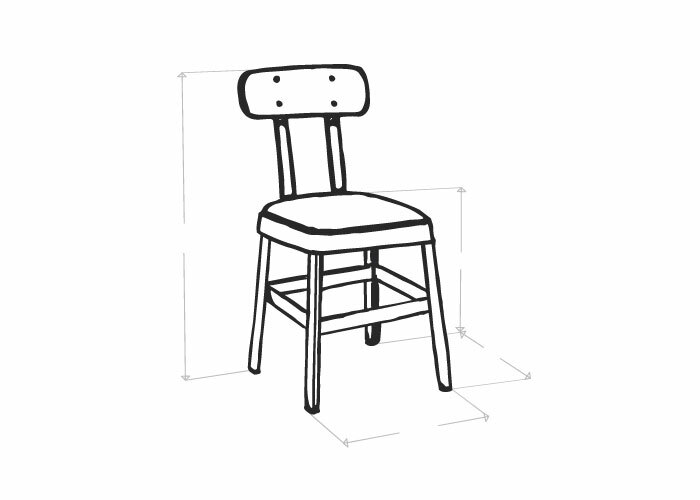 The price is for one table only; please specify which table you would like when placing your order.